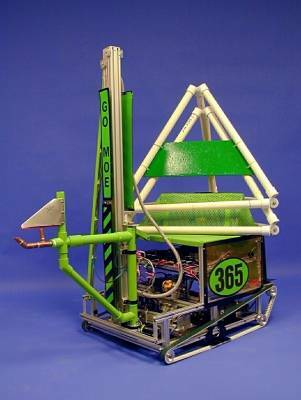 MOEbius is a bright green robot designed to obtain tetras from Human Player, Auto Load Station, or the floor, store them on it's back (if necessary) and cap any goal to score points. Our arm was designed for simple and fast motion. We can stack tetras quickly and effectively.